Unfortunately, too busy to update for the moment, but this will hopefully change soon. 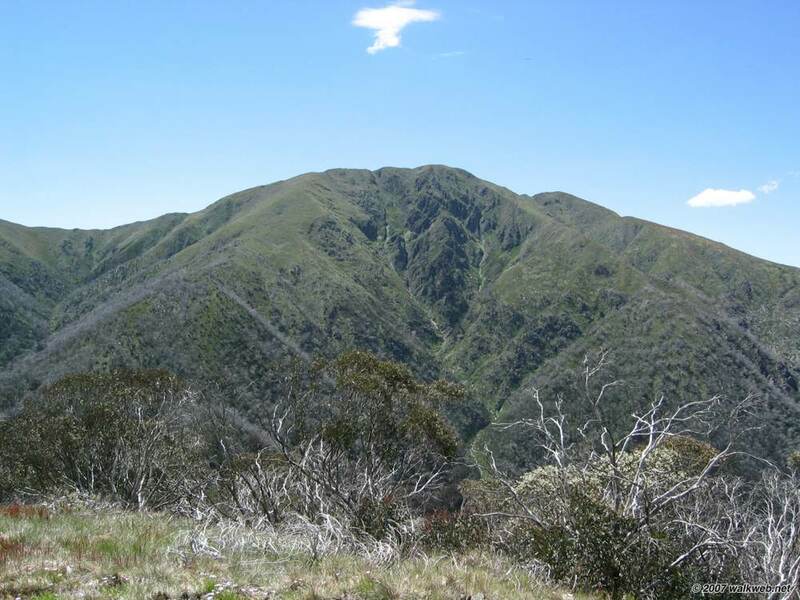 Off to Mt Feathertop this Easter, this will be my “20th anniversary” climb of this peak – my first ascent was with the scouts (venturers) in Easter 1988. The route we followed then started at Pretty Valley Storage on the Bogong High Plains, walking down to Blairs Hut for the first night. 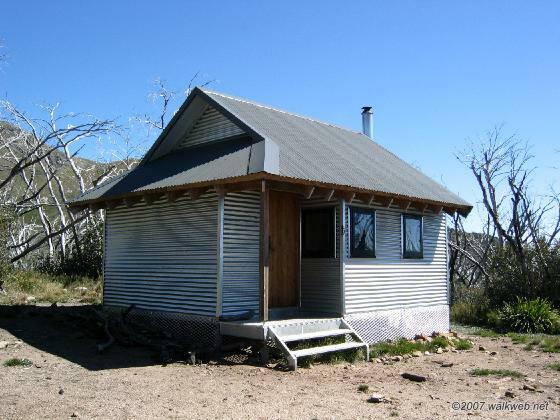 The second day was Blair Hut/ Diamantina Spur/ Feathertop/ Razorback/ Swindlers Spur/ Dibbins Hut – anyone who knows this area will realise that second day was crazy, and certainly isn’t recommended! Last day was back to Pretty Valley. This time I’m going to follow the traditional route up Bungalow Spur. 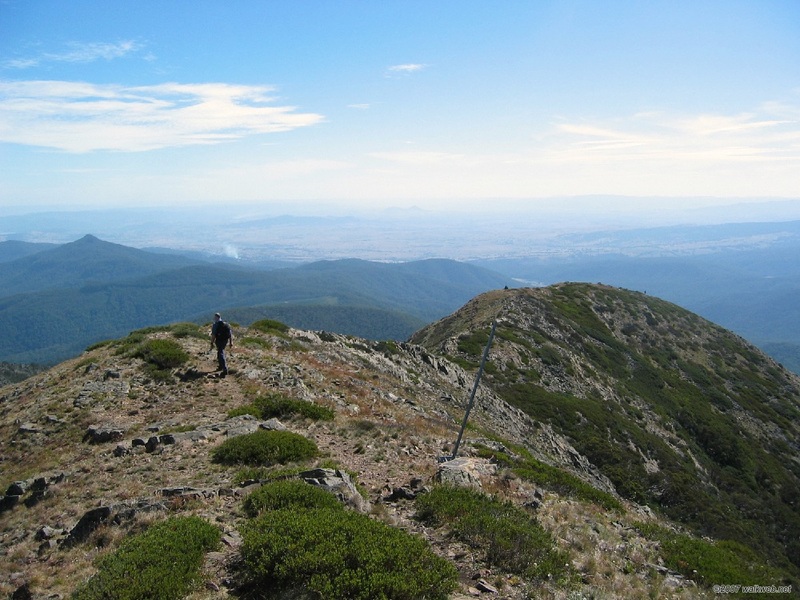 Diamantina Spur is the main spur that approaches Mt Feathertop from the east. Because the spur starts in a more isolated valley, with access either by walking in or all-wheel drive vehicle, this approach is not nearly as well used as the Razorback or the western spurs (the Bungalow and North-West spurs). It does however provide an interesting alternative route for experienced walkers who have tried the other approaches, and could form part of an excellent two or three day walk. 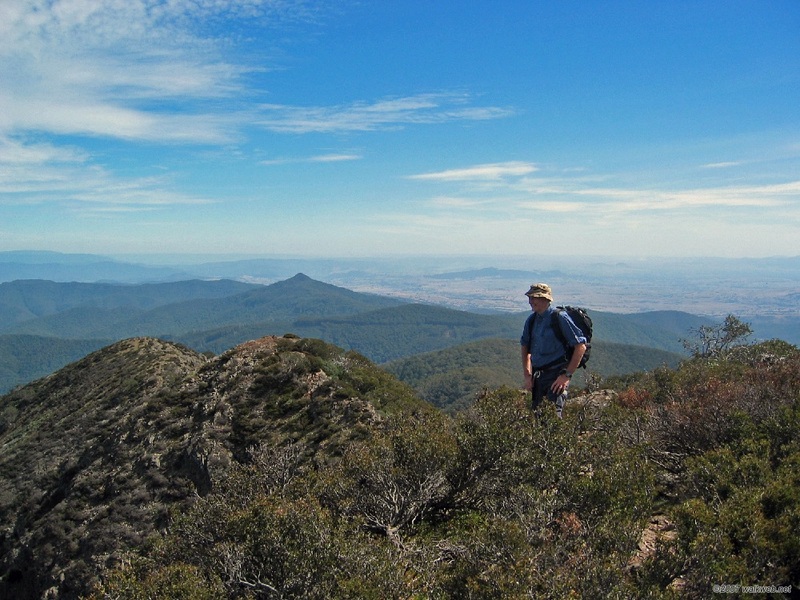 Despite having climbed Mt Feathertop on numerous occasions, it’s some 20 years since I last used this spur, so I decided to revisit on a recent trip. 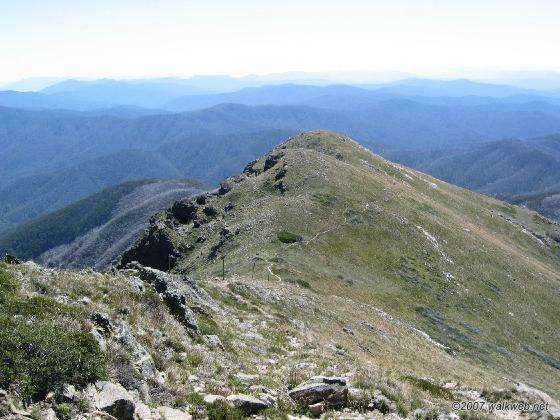 If approaching the top of the spur via the razorback, the path commences eastwards from the Razorback about 1.5km south of the Bungalow spur junction, or about 8km or so from Mt Hotham. The track junction is just to the north of High Knob. Initially easy to follow, the track soon becomes very indistinct. The spur has also been ravaged by bushfires, completely eliminating any sign of the track in places as well as consuming many track markers. 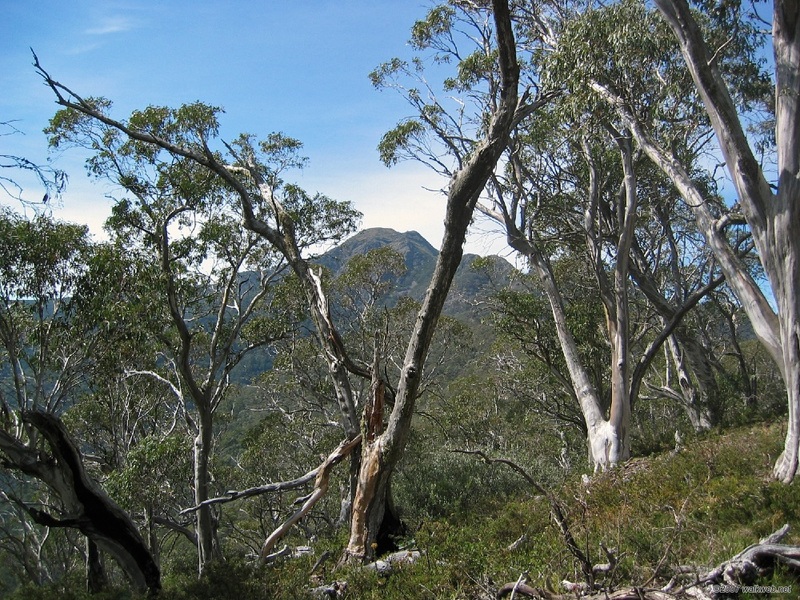 I walked down the spur, and despite my best efforts to follow the line of the main spur, including frequent stops to assess the lie of the land and check my compass, I realised about two-thirds of the way down that I had slipped down a side spur, which required about 20 minutes of bush bashing along the contour of the hill, back to the main spur line. This was very hard work as a result of the fires – there were lots of trip hazards from burned out tree trunks and branches as well as lots of new growth. The surviving tree trunks were also still covered in soot, and by the time I made it down into the valley, so was I. As a result of this experience, I’d suggest that going up the spur will be easier from a navigation point of view. Note though that either way is going to be hard work – the spur is not well graded like the Bungalow Spur, and in some places is particularly steep. This makes getting into a steady walking rhythm impossible, reducing effective speed and increasing tiredness. The spur joins the access road into the valley (the road leads to the Diamantina Horseyards and the Red Robin Mine – it is closed to vehicles immediately after the Diamantina Horseyards turn-off) at a curve in the road by the banks of the West Kiewa river – as far as I could see the start point is not signposted, although the spur is pretty obvious. Once in the valley I continued along the jeep track south, past Blair hut on the left. 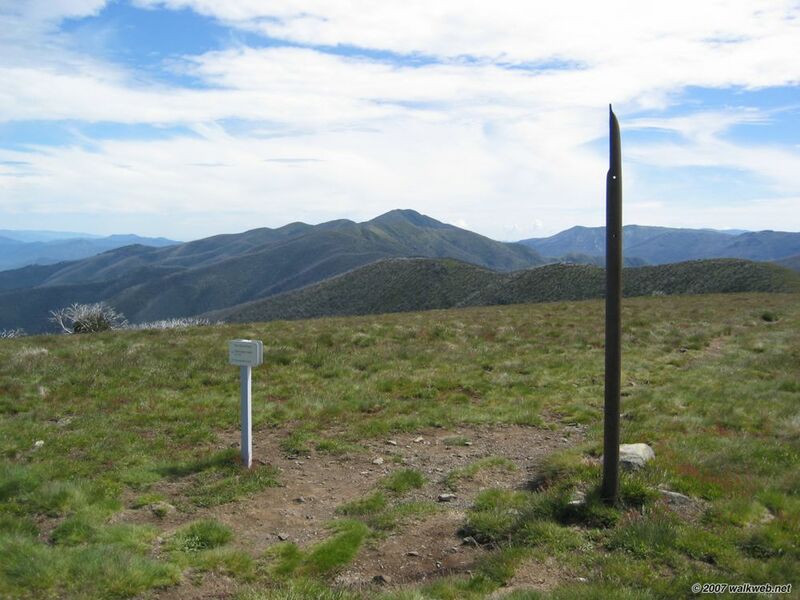 Eventually a junction is reached where you can continue up to Mt Hotham either via Dibbins Hut and Swindlers Spur or via Machinery Spur (which passes Red Robin Battery and Mine). The path via Dibbins Hut is in my view more attractive being a walking path, rather than a vehicular fire track, and Swindlers Spur is a lovely route up through forest and then alpine meadow, however it is steep in places. Machinery Spur, as expected for a vehicle track, is much better graded, but somewhat more monotonous. Red Robin mine is interesting to see however, and the track also passes by Mt Loch which makes an excellent short side trip. 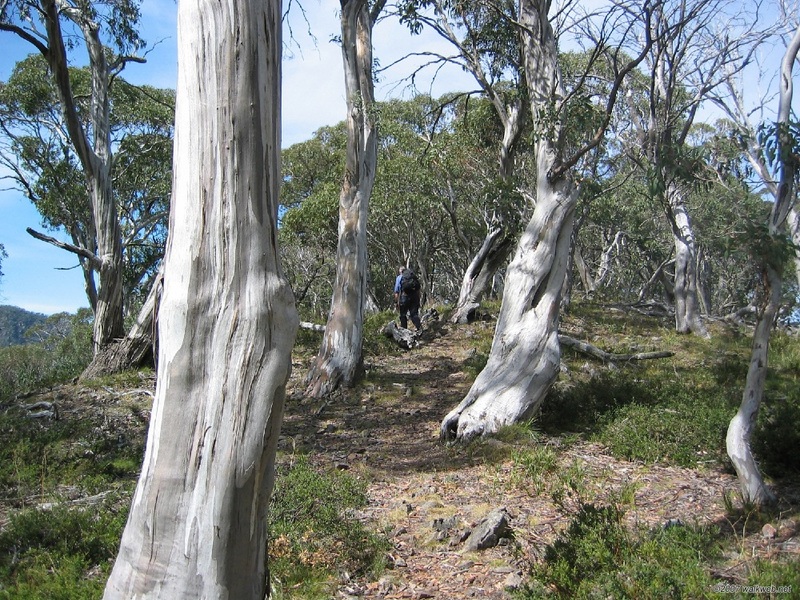 An overnight walk suggestion for experienced bushwalkers is to start at the Mt Loch carpark on the Mt Hotham road and then descend either Machinery Spur or Swindlers Spur to camp at either Dibbins or Blairs Hut. 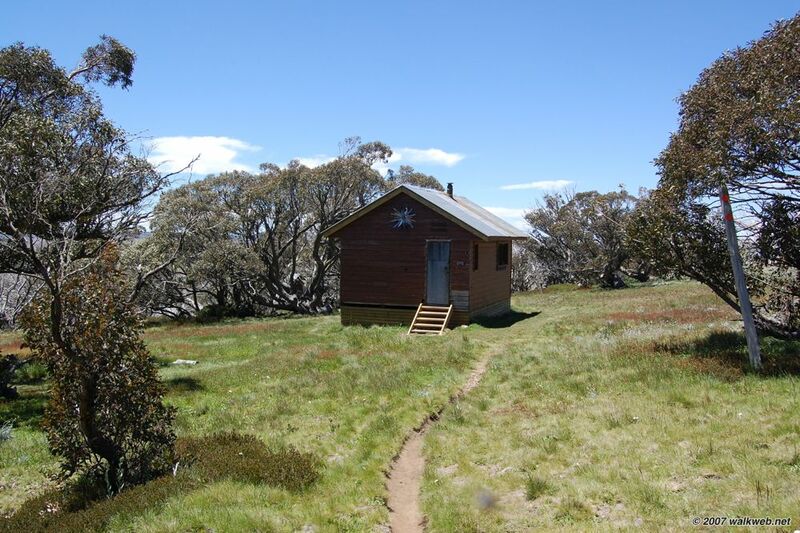 The next day would be an ascent via Diamantina Spur, then a short walk along the Razorback to the Bungalow Spur junction and then camp at Federation Hut, 500m down the Bungalow Spur. The final day, after an ascent of Mt Feathertop, would be back along the Razorback to the Mt Hotham road, and then a short road bash back up the road to the Mt Loch carpark (alternatively, you could park by the side of the Mt Hotham road below Diamantina Hut – the launching pad for walks along the Razorback – and then do the road walk on the first day). You could do this as a two-day walk, combining either the Diamantina Spur and Razorback or the descent into the valley and then climb back up again along the Diamantina Spur into one day, but this makes for an “unbalanced” walk with one easy day and one very tough day – definitely for the experienced and fit only. 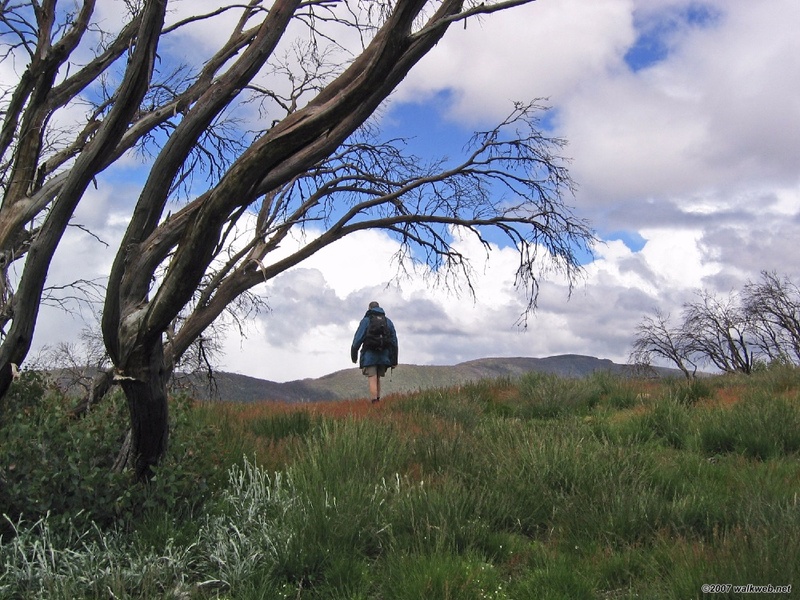 Less experienced walkers should start with the Razorback or Bungalow Spur routes. 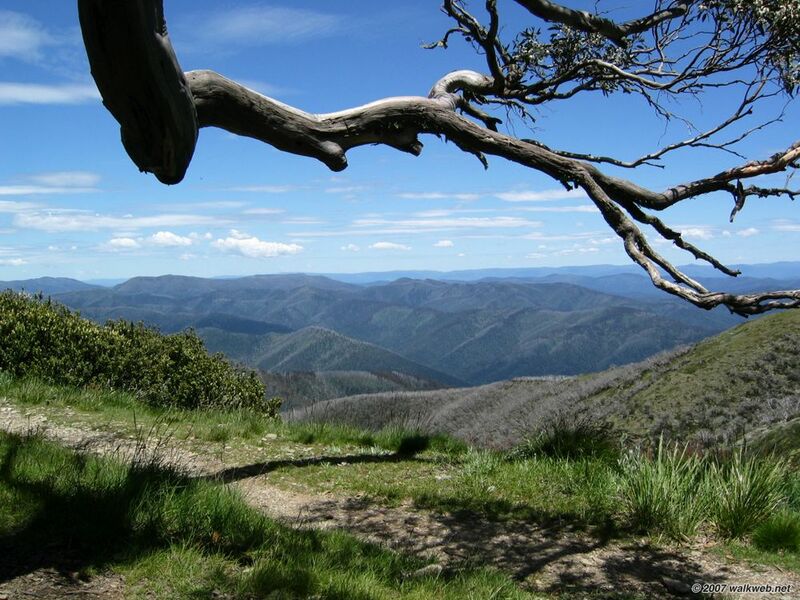 An attractive short walk across the high country around the ski-resort of Mt Hotham in north-east Victoria, with great views. 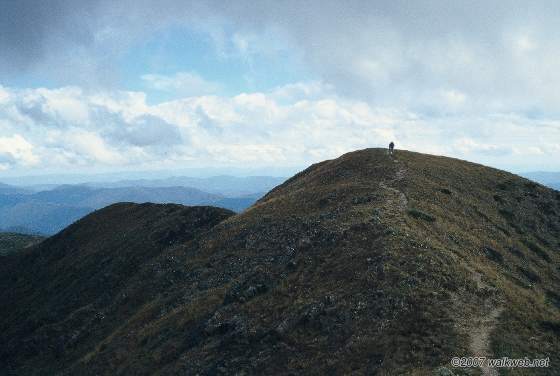 The walk commences at the Mt Loch car park on the Great Alpine Road (B500) about 1km before Mt Hotham village. The walks follows a fire track that starts at the left hand side of the water recycling dam that has recently been excavated, immediately north of the car park. Follow the jeep track (which is also the Alpine Walking track) as it undulates and then starts to steadily climb northwards, passing numerous ski runs and lifts on the right hand (east) side. 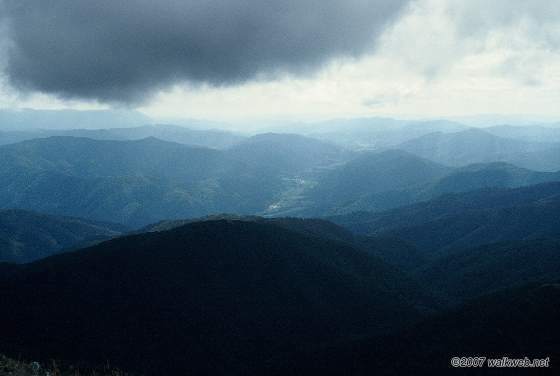 There are fine views of the Razorback and Mt Feathertop to the left. 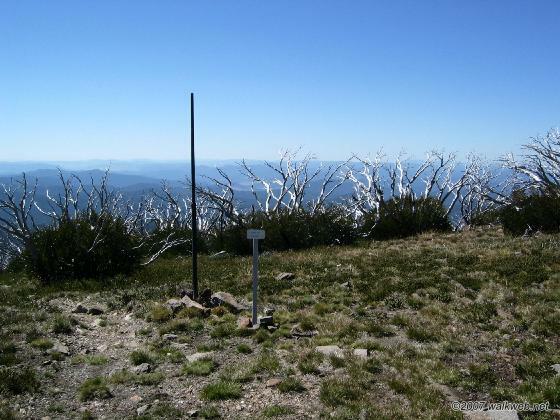 The poles that can be seen every 40m are snow poles designed to assist navigation in poor weather and continue all the way to Mt Bogong. After about 1.5km, at Derrick Col, the track turns eastwards briefly before reaching a track junction. 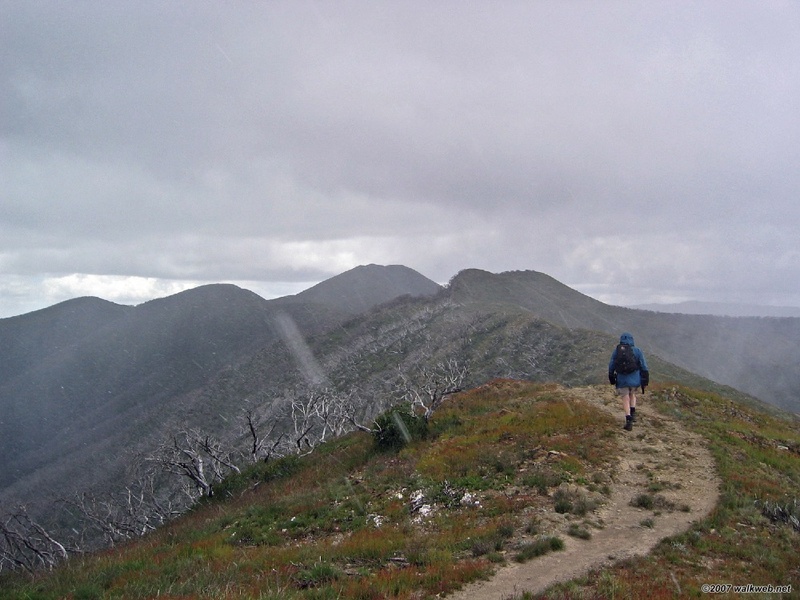 The walk continues on the jeep track that heads north to Mt Loch, now about 1km away (the other foot track continues along Swindlers Spur to Derrick Hut). 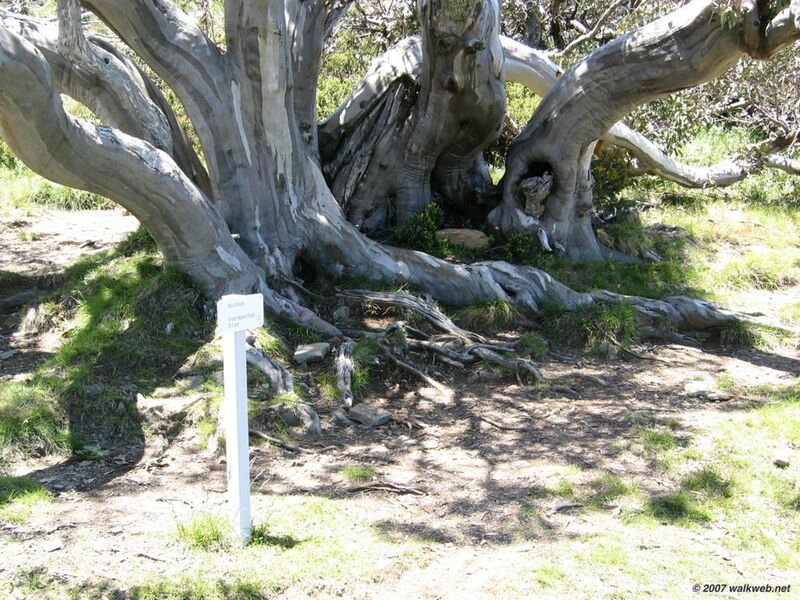 The original access footpath to the summit of Mt Loch, which leaves the jeep track shortly after the junction, is now closed to allow revegetation and Parks Victoria encourages walkers to use a new access track which leaves the jeep track immediately to the west of Mt Loch (about 350m further on). 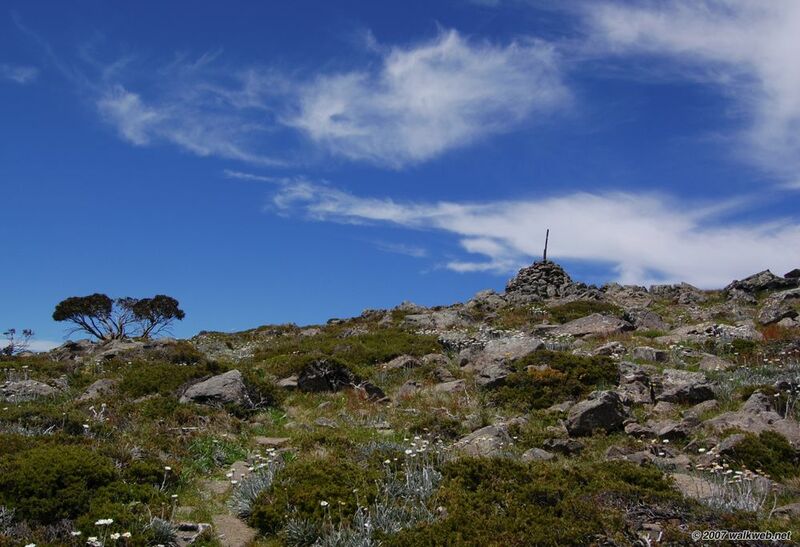 Follow the access track for a 100m or so to the summit, marked with a large summit cairn. 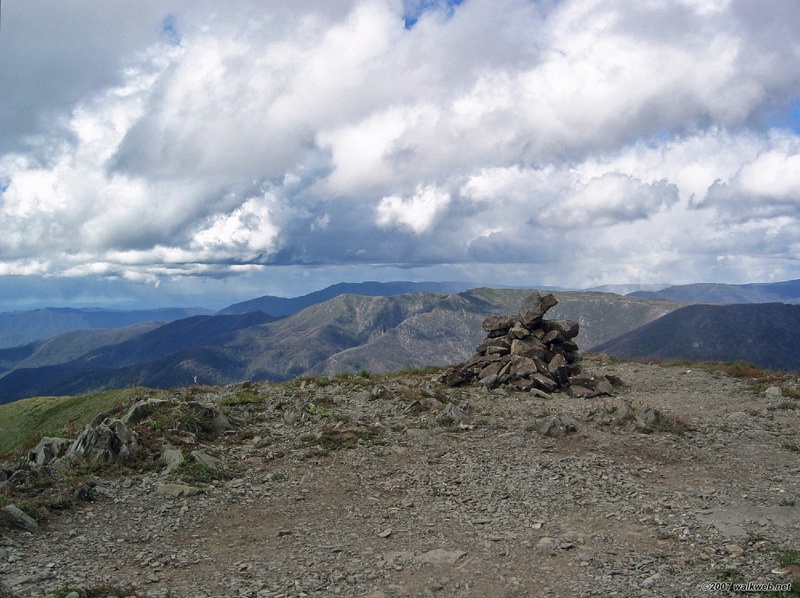 There are great views in all directions from the summit. 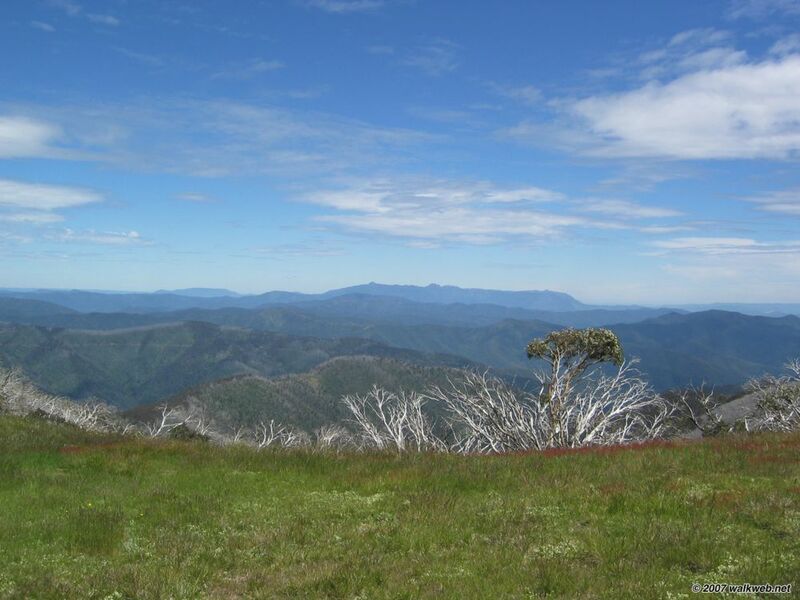 If it is a clear day you will see Mt Hotham to the south, the Razorback and Mt Buffalo plateau to the west, Feathertop to the north-west and Mt Bogong and the Bogong High Plains to the north-east and east. 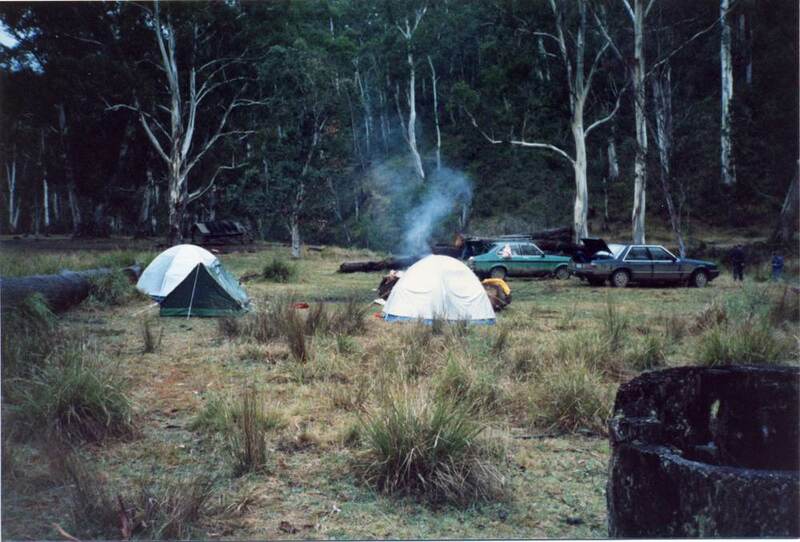 To the immediate north the jeep track follows Machinery Spur before dropping down to the West Kiewa River. Return to the car park via the same route. For a post walk drink head up the Great Alpine Road to the attractive Dinner Plain village. 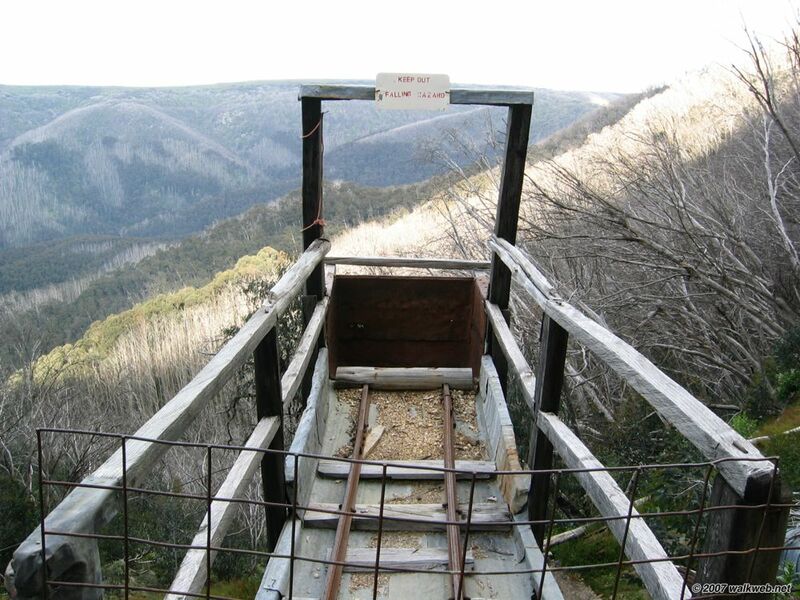 Red Robin Mine – Continue along the jeep track north as it follows Machinery Spur until it drops via a series of zig-zags to the east and reaches Red Robin mine, classified by Heritage Victoria due to its status as the sole surviving alpine gold mine. 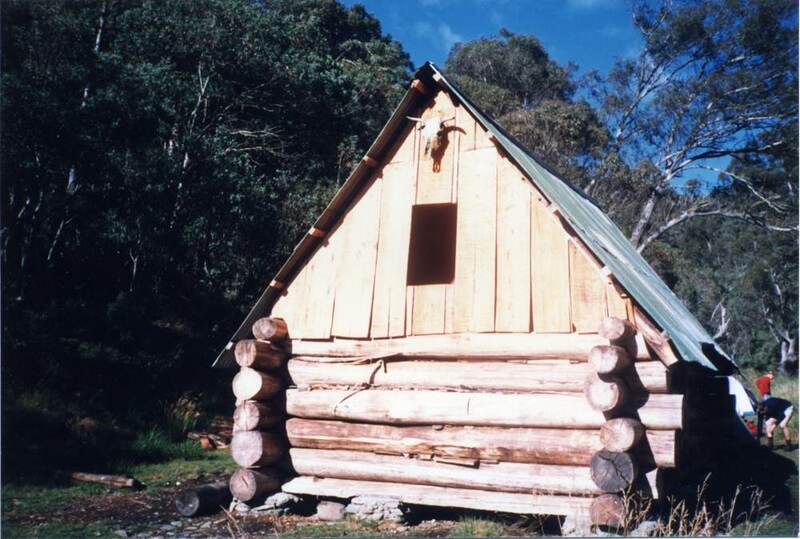 Derrick Hut – At the track junction mentioned above continue along the foot track (the alpine walking track) as it follows the snow pole line south east descending to Derrick Hut. 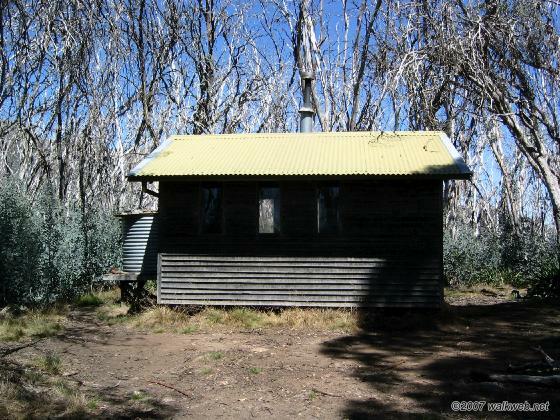 Derrick Hut is a refuge hut, built by the Wangaratta Ski Club for Ski tourers. It is situated in a lovely alpine meadow. This route provides a bit more variety, especially for walkers who have already been up and down the Bungalow Spur, while still remaining a circuit walk and thus avoiding a car shuffle. The route could be done in either direction – we did the walk up Champion Spur and down Bungalow Spur. 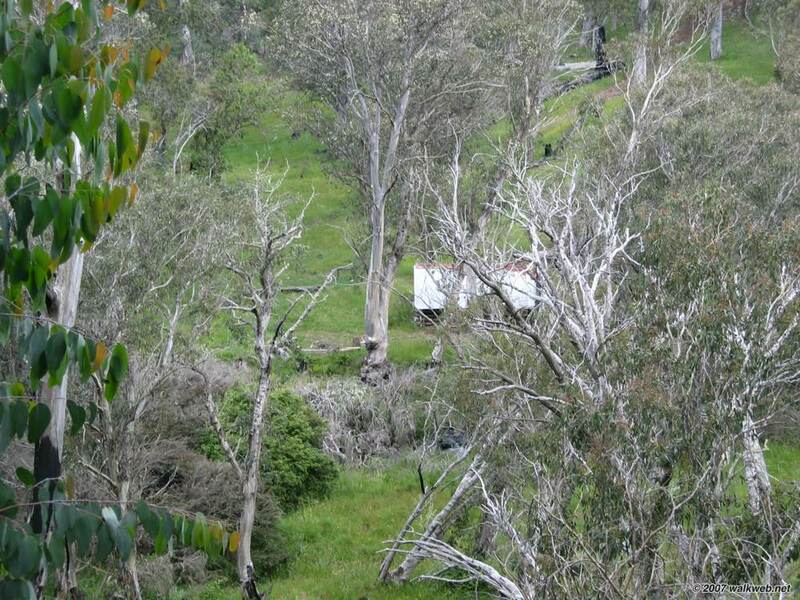 Either way, the route starts and ends in Harrietville. The track up Champion Spur starts in the same place as the Bon Accord Spur, before splitting and heading south-east while the Bon Accord Spur track continues south. 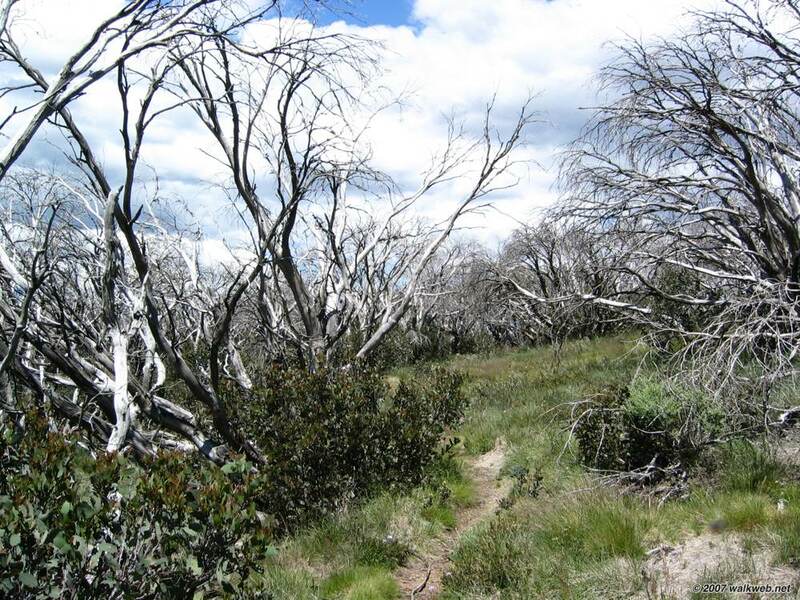 Following an initially well formed fire track, the track slowly deteriorates before disappearing completely about 1km or so shy of the Razorback ridge. 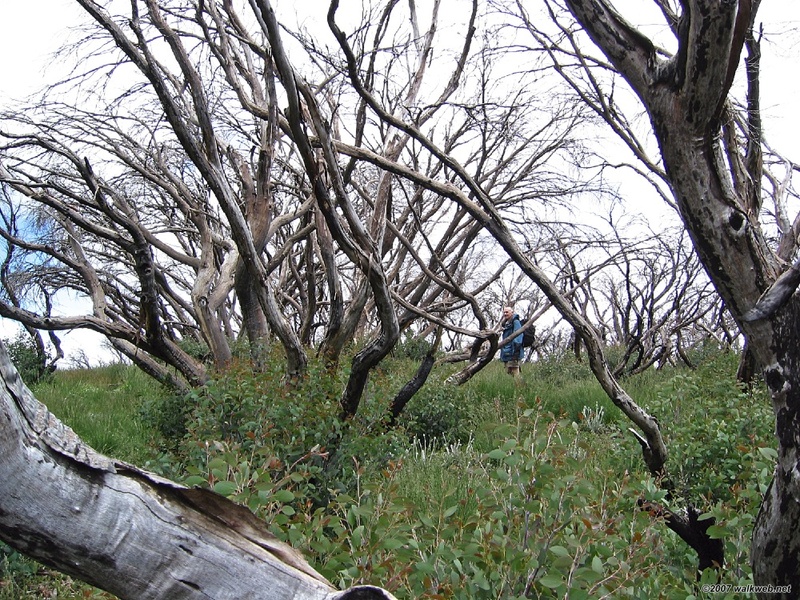 The 2003 bushfires swept through this whole area, and their effects are still apparent; the scrub had started to grow back strongly when we did this walk however, so that last km or so before the ridge was rather hard going. Then, as we reached the Razorback, we experienced a brief summer snow shower – a reminder that the weather in this region can change fast. 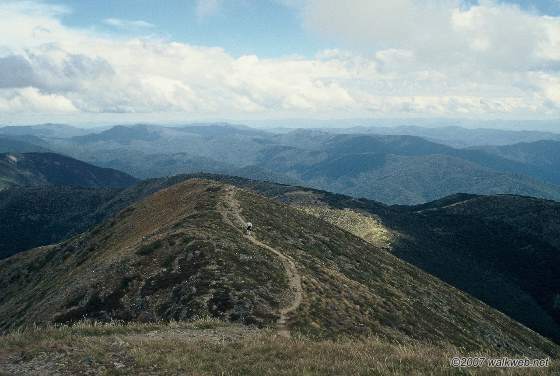 Once the Razorback ridge is joined, a distinct track continues north, passing the track down Diamantina Spur to the right, and then about 1.5km further on, the Bungalow Spur track to the left. 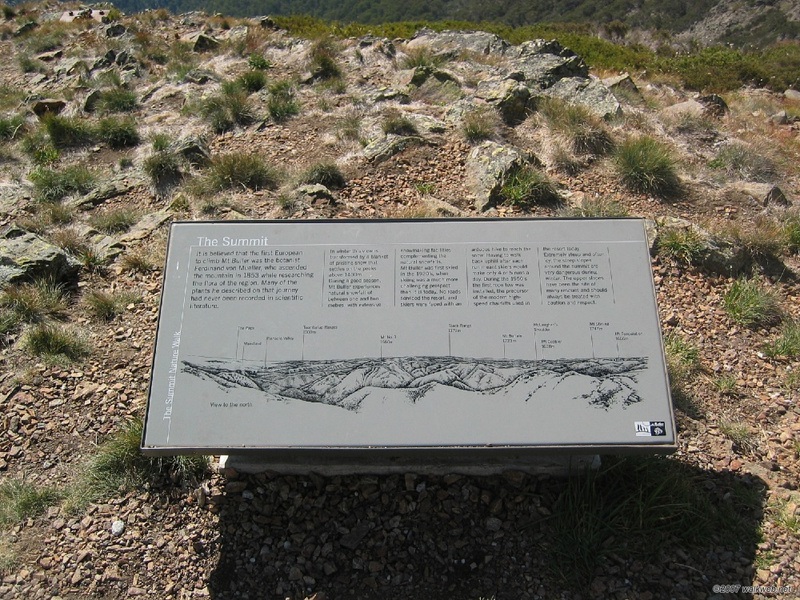 This marks the start of the descent, but the summit is still another 1.5km north-east along the razorback (passing the north-west spur to the left on its way to the summit). 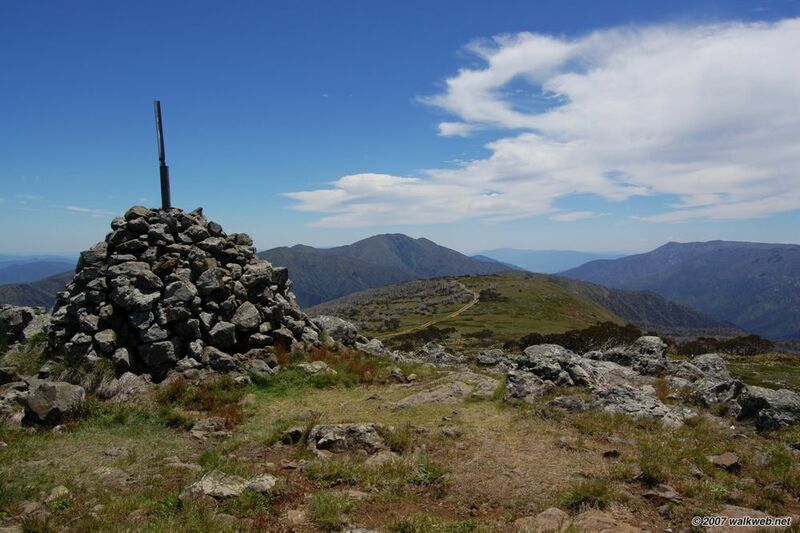 This walk can be done as either a hard one-day walk (at around 25km it’s a tough day) or as a moderate overnight walk, with camp at the (excellent) Federation Hut site on the Bungalow Spur just down from the junction with the Razorback. 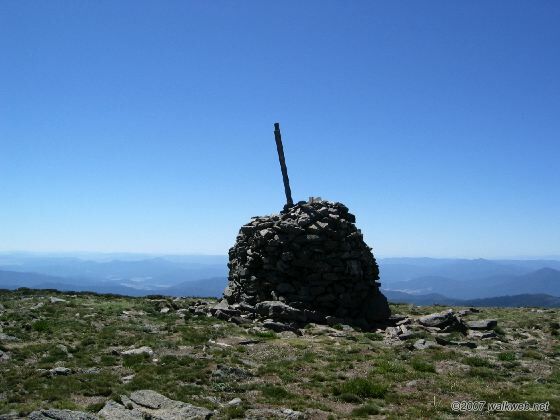 If you’re doing this as an overnight walk then note that the first day is still pretty tough if you ascend via Champion Spur (easier if you go clockwise – ie. up Bungalow and down Champion). 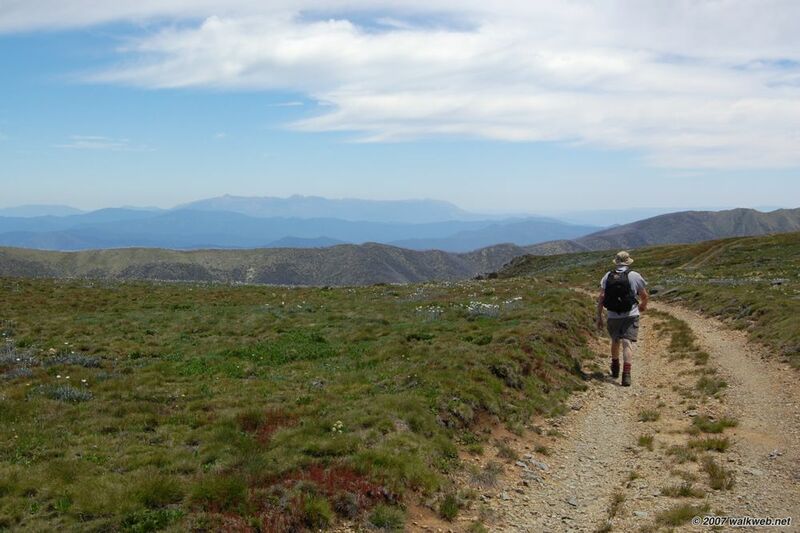 If you’re not sure about walking in untracked bush, then an easier option is up and down the Bungalow Spur, or if you can organise a car shuffle, along the Razorback from Mt Hotham, and then down the Bungalow Spur (a superb walk).